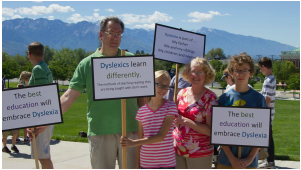 Decoding Dyslexia Utah is a grassroots movement driven by Utah families concerned with the limited access to educational interventions for dyslexia and other language-based learning disabilities within our public schools. We aim to raise dyslexia awareness, empower families to support their children and inform policy-makers on best practices to identify, remediate and support students with dyslexia in Utah public schools. Decoding Dyslexia Utah is a 501.3.c non-profit. You are your child’s best advocate, if not you, then who? Become an informed, educated parent.